101 – [A] Jonathan Edwards: Selected Writings Classics of Western Spirituality ed. Ken Minkema, Adriaan Neele, Kyle Strobel (Paulist Press, forthcoming). Paulist Press has the most substantial line of spiritual classics ever assembled. You can see the range of the line here. I have recently signed a contract, with my co-editors, to develop a volume of Edwards’s spiritual writings in this series. This will be the first time someone has assembled key primary sources of Edwards’s that outline his vision for Christian spirituality. 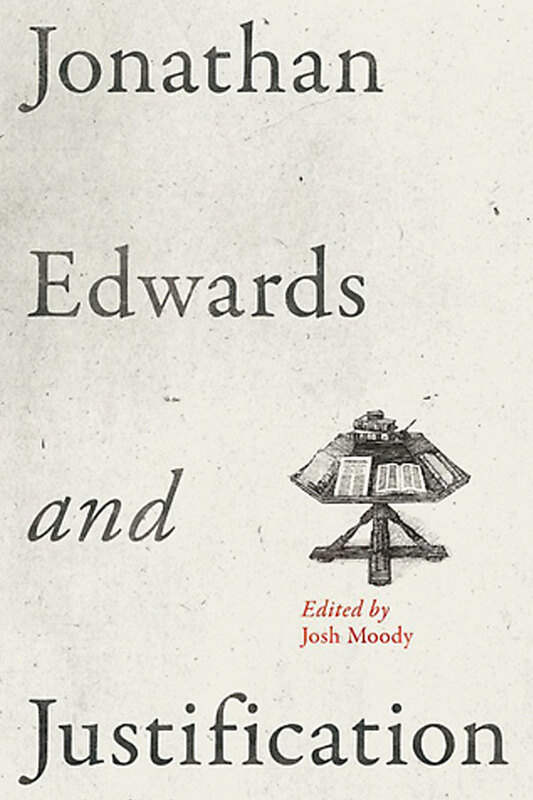 Furthermore, rather than focusing on already well-known material, we are hoping that about half of the volume will be previous unpublished, out of print, or simply lesser known parts of Edwards’s corpus. This is going to be an exciting one! 101 – [B] Charity and Its Fruits: Living in the Light of God’s Love ed. Kyle Strobel (Crossway, 2012). This introduction to Edwards’s work is a new edition of his exposition of 1 Corinthians 13. I provide an introduction, conclusion, definitions of arcane terminology and include over 170 textboxes throughout the book that explain difficult concepts. If you want to start reading Edwards, start here (click here to go to the publisher page). 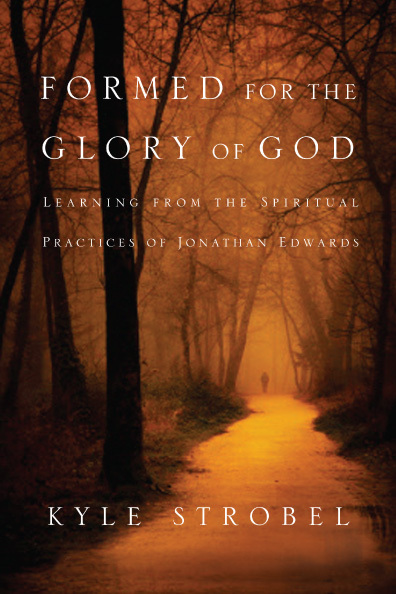 201 Formed for the Glory of God: Learning from the Spiritual Practices of Jonathan Edwards (IVP, 2013). This book introduces readers to Edwards through his understanding of spiritual formation. 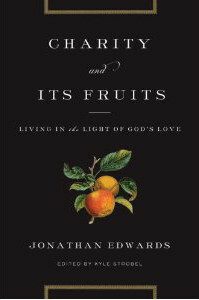 If you want to know how Edwards understood the Christian life, then this is the book for you. It is accessible, written for laity and pastors alike, and attempts to show how Edwards’s view of the Christian life can be lived even today. If you want to know what “America’s Greatest Theologian” says about the spiritual life, then look no further. Click here to watch a short video about the book. 301 Jonathan Edwards: An Introduction to His Thought co-written with Oliver Crisp (Eerdmans, forthcoming). This book introduces Edwards’s philosophical and theological thought, showing their deep integration throughout his writings. If you’ve never read Edwards, or read him enough to be confused (! ), this book is for you. 401 The Ecumenical Edwards: Jonathan Edwards and the Theologians (Ashgate Publishing, forthcoming). Who gets to decide if a theologian is great? It is a difficult question. In my mind, the church, as a whole, must decide something like that. For too long Edwards scholars have claimed Edwards’s greatness, but that isn’t something we can claim in isolation. So, to remedy that, I have put together a top-notch team of Roman Catholic, Eastern Orthodox, and Protestants of all stripes to write about Edwards in relation to the tradition. If Edwards is truly great, we should come to see his greatness shine forth through this volume. 501 Jonathan Edwards’s Theology: A Reinterpretation (T&T Clark, 2013). This book is an academic work on Edwards’s theology. If you really want to dive into Edwards, this book is for you. That said, this is a serious work of theology. Only read it if you have an interest in academic theology and Edwards’s own theological constructions. The focus of this volume is to unearth the theological core to Edwards’s thought. My goal in this book is to give a framework for how to read Edwards well, which, in my mind, is learning to read him theologically. I will continue to add volumes to this list as they appear, both my own written work as well as edited volumes on Edwards. My hope is that I can help those interested in Edwards read him well, which is what these books should do – help you read Edwards. 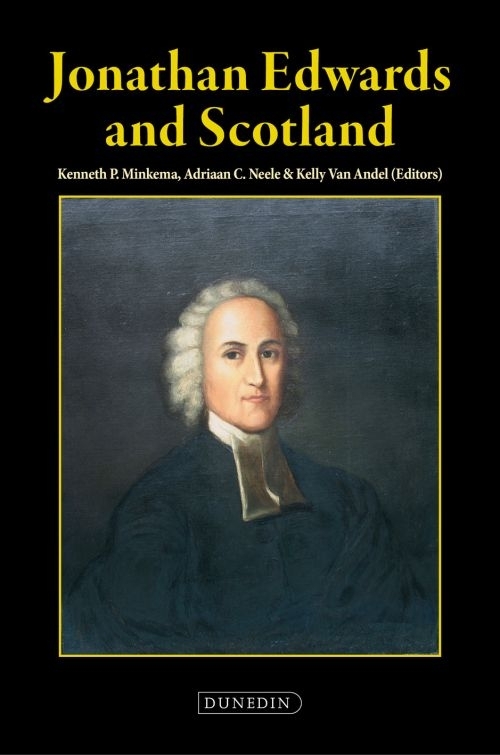 If you find yourself interested in what I am doing with Edwards, or just interested in Edwards’s theology, you can also see my chapter, “Jonathan Edwards’ Reformed Doctrine of the Beatific Vision,” in Jonathan Edwards and Scotland (Dunedin Academic Press, 2011), 171-180; and my article, “Jonathan Edwards and the Polemics of Theosis” in Harvard Theological Review 105:3 (July 2012): 259-279.